Nancy Pelosi... social media star? That's pretty much the status Pelosi attained after her sarcastic clapping during President Donald Trump's State of the Union address became an instant meme. Here it is again, just in case you've been living under a rock for the last week. 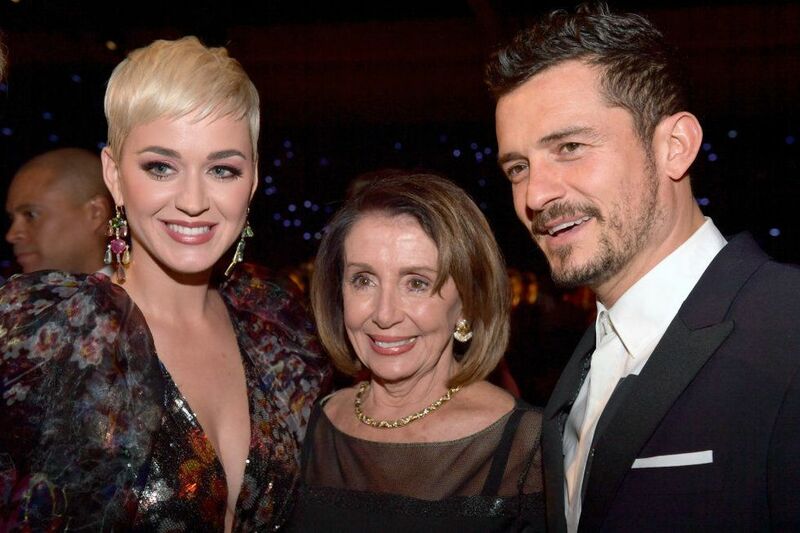 ...and it looks like "the clap heard around the world" has found fans in the likes of singer Katy Perry (Teenage Dream) and actor Orlando Bloom (The Lord of the Rings trilogy), who met Pelosi at the MusiCares Person of the Year ceremony honoring country music legend Dolly Parton at the Los Angeles Convention Center. Did we mention the three of them took the opportunity to recreate Pelosi's State of the Union clap? The internet ate this up. Even Pelosi's daughter, writer Christine Pelosi, weighed in. It's pretty clear where Christine gets her own sense of humor. Last week, Christine Pelosi said that memeable clap brought her "back to the teen years." "Oh yes that clap took me back to the teen years. She knows. And she knows that you know. And frankly she's disappointed that you thought this would work. But here's a clap," wrote Christine on Twitter. Pelosi will never be able to live this down!